Newly elected council members Patrick Berry, Paul Oupadia, and Jack Gilbride, were officially sworn in as members of the Mountain Village Town Council. Each new member stood before the community and repeated the oath, promising to faithfully carry out the responsibilities of the office. The newly elected Council members will serve four-year terms and will join current council members Dan Jansen, Laila Benitez, Dan Caton and Bruce MacIntire. Following the Swearing-In Ceremony was the election of the Mayor and Mayor Pro Tem positions. The Town of Mountain Village Home Rule Charter dictates the positions to be elected amongst the Council members by a majority vote at its first organizational meeting held after the election. According to the Charter, the new Mayor presides at Council meetings and is recognized as the head of the Town government for all ceremonial, dignitary and legal purposes. In the absence or of the Mayor, the Mayor Pro Tem presides at Council meetings and takes over the powers and duties of the Mayor. By a 5-2 vote, Laila Benitez was elected Mayor of Mountain Village and Dan Caton was elected Mayor Pro Tem. Benitez has been on the Council since June 2015 and currently serves as the chair of the San Miguel Authority for Regional Transportation (SMART), as well as a member of the Community Grant Committee and the Transportation & Parking Committee. Caton has been on the Council since June 2015 and currently serves on the Budget & Finance Committee, the Gondola Committee and the SMART Board. “Congratulations to the new Mayor, Laila Benitez and the new Mayor Pro Tem, Dan Caton. We extend a huge thanks to Dan Jansen for his years of service as Mayor and his continued service on Council. We are excited to begin work with the new and returning Council and look forward to the opportunity to continue serving the Mountain Village community,” said Mountain Village Town Manager Kim Montgomery. In Mountain Village, the mayor serves a two-year term with the council’s approval. The mayor has a number of responsibilities, including overseeing the town’s finances and budget, enforcing town contracts and many other responsibilities with the town government. For more information, please contact Jackie Kennefick, Director of Administration/Town Clerk at email. Candidates Patrick L. Berry, Paul Oupadia and Jack Gilbride were elected to Mountain Village Town Council Tuesday, June 27. They will join current council members Dan Jansen, Laila Benitez, Dan Caton and Bruce MacIntire who were not up for re-election. The newly elected council members will serve four-year terms. Of the 930 mailed ballots, 409 were cast either by mail or in person for a 43.98% voter turnout. The newly elected council members will be sworn in at the July 25 Mountain Village Town Council Meeting. Subsequently, members of Town Council will appoint the position of mayor and mayor pro-tem. Listed in the same order as they appeared on the ballot, following is the number of votes each candidate received. For more information about the election results, contact Town Clerk Jackie Kennefick by email. 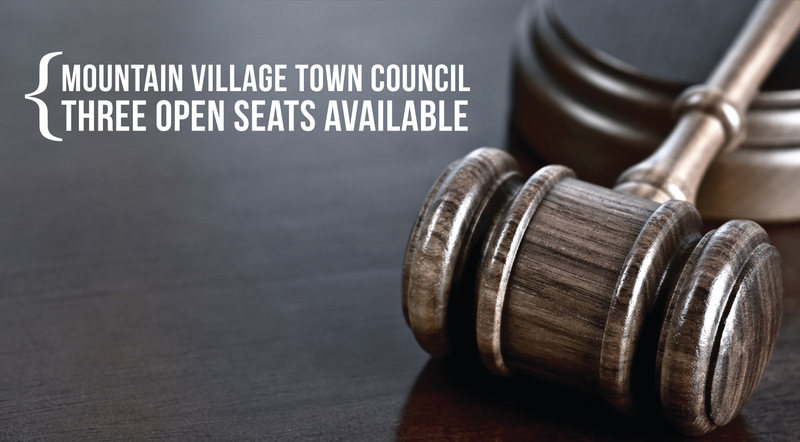 The Town of Mountain Village will hold a Town Council Candidate Forum Wednesday, June 7 beginning at 5:15 p.m. at Mountain Village Town Hall. Wilkinson Public Library will moderate the event. There will be a candidate meet and greet starting at 5:15 p.m. followed by candidate introductions at 6:00 p.m. The format will include opening statements by each candidate and two questions pertinent to the election prepared by library staff. Each candidate will be given a specified amount of time to answer each question. To close, the moderator will ask for written questions from the audience if time permits. The Forum will be streamed live at townofmountainvillage.com/video and available to watch on-demand immediately following the event. The Town of Mountain Village Regular Municipal Election will take place June 27 to elect three Town Council Members. Ten candidates declared their candidacy for the upcoming election, and are listed on the ballot in this order: Paul Oupadia, Suse Connolly, Marla Meridith, David Schillaci, Jack Gilbride, Angela R. Pashayan, Natalie Binder, Richard Child, Jonathan Greenspan, and Patrick L. Berry. To learn more about each candidate, visit http://townofmountainvillage.com/candidates. The three Town Council seats up for election are currently held by councilmembers Cath Jett, Marty McKinley and Michelle Sherry. Jett is termed out after serving two, four-year terms. She first served on Council in 2009 and as mayor pro-tem from July 2013 to June 2015. Councilmember McKinley has decided not to pursue a second term and has served as mayor pro-tem since July 2015. He joined Council in March of 2014 by appointment, filling the seat of former Councilmember Richard Child. Sherry, who is eligible to serve another four-year term, decided not to run for a second term. She was first elected to serve on Council in 2013. The last regular municipal election held in 2015 had one of its biggest turn outs with 13 candidates vying for four open seats. Once elected, the new Council will convene July 20. Ballots will be mailed to registered voters between June 5 and June 12, and may be returned either by mail or in person to Town Hall, located at 455 Mountain Village Blvd., on or before June 27 to be counted. On Election Day, polls will be open from 7 a.m. to 7 p.m. The Town of Mountain Village will hold a Regular Municipal Election June 27 to elect three candidates to serve on the seven-member Town Council. The town conducts all elections by mail ballot. Ballots will be sent to registered voters between June 5 and June 12, and may be returned either by mail or in person to Town Hall, located at 455 Mountain Village Blvd., by or before June 27. 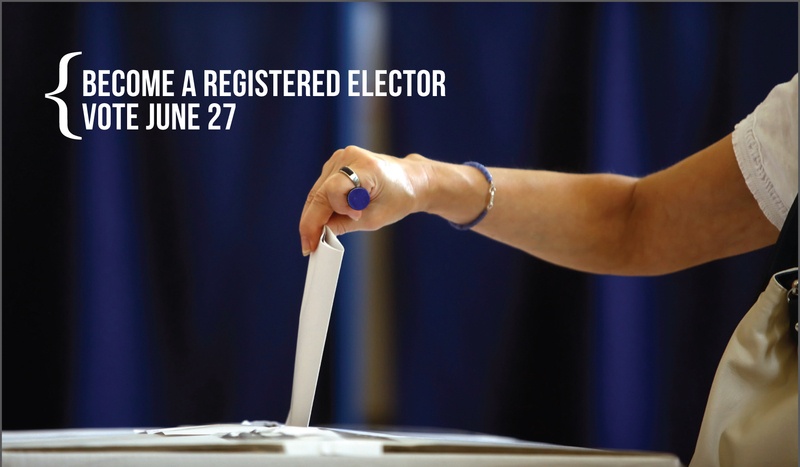 The deadline to become a registered elector is Friday, May 26 by 5 p.m. (in person) and Monday, May 29 by 5 p.m. (online). On Election Day, polls will be open from 7 a.m. to 7 p.m. The Town of Mountain Village will hold a Regular Municipal Election June 27 to elect three Town Council Members. Ten candidates declared their candidacy for the upcoming election, and are listed on the ballot in this order: Paul Oupadia, Suse Connolly, Marla Meridith, David Schillaci, Jack Gilbride, Angela Pashayan, Natalie Binder, Richard Child, Jonathan Greenspan, and Patrick L. Berry. The order of candidates was determined based on a draw by lot. To learn more about each candidate, visit townofmountainvillage.com/candidate. The Town of Mountain Village will hold a Regular Municipal Election June 27 to elect three Town Council Members. 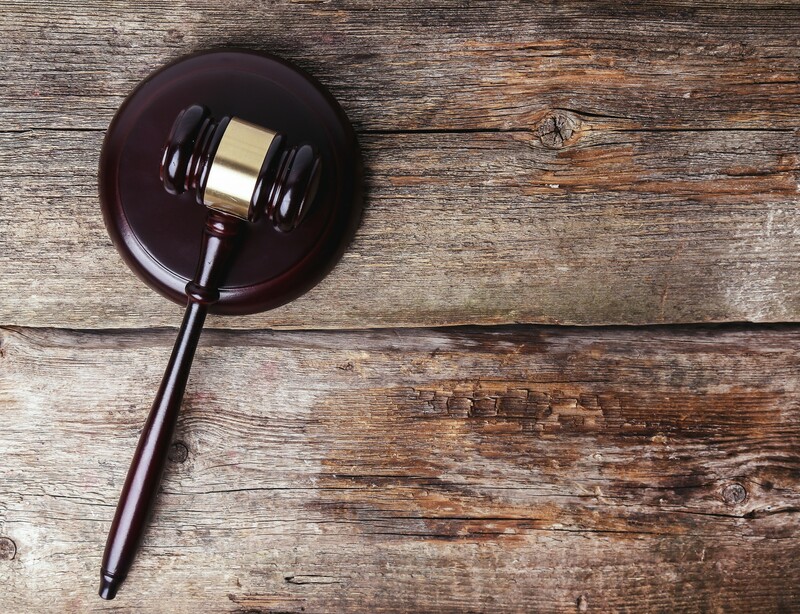 To qualify one must be a registered elector who has maintained legal residency with the town for at least 120 days immediately preceding the June 27 election. A Letter of Intent and Candidate Biographical Information Sheet must be submitted to the Clerk’s Office via email by May 12 at 5 p.m. To learn more, visit townofmountainvillage.com/election. The three Town Council seats up for election are currently held by council members Cath Jett, Marty McKinley and Michelle Sherry. Jett is termed out after serving two, four-year terms. She first served on Council in 2009 and as mayor pro-tem from July 2013 to June 2015. Councilmember McKinley has decided not to pursue a second term and has served as mayor pro-tem since July 2015. He joined Council in March of 2014 by appointment, filling the seat of former Councilmember Richard Child. Sherry, who is eligible to serve another four-year term, said she has yet to decide if she will run again. She was first elected to serve on Council in 2013. The last regular municipal election held in 2015 had one of its biggest turn outs with 13 candidates vying for four open seats. Once elected, the new Council will convene July 20. 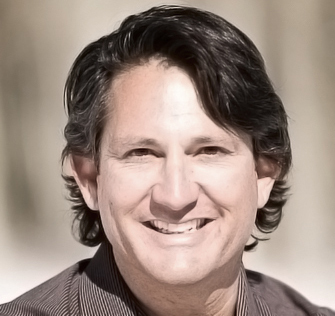 In Mayor Dan Jansen‘s April Mayor’s Minute correspondence he encouraged anyone with interest in local government to consider stepping up and throwing their hat in the ring. Ballots will be mailed to registered voters between June 5 and June 12, and may be returned either by mail or in person to Town Hall, located at 455 Mountain Village Blvd., by or before June 27 to be counted. On Election Day, polls will be open from 7 a.m. to 7 p.m. 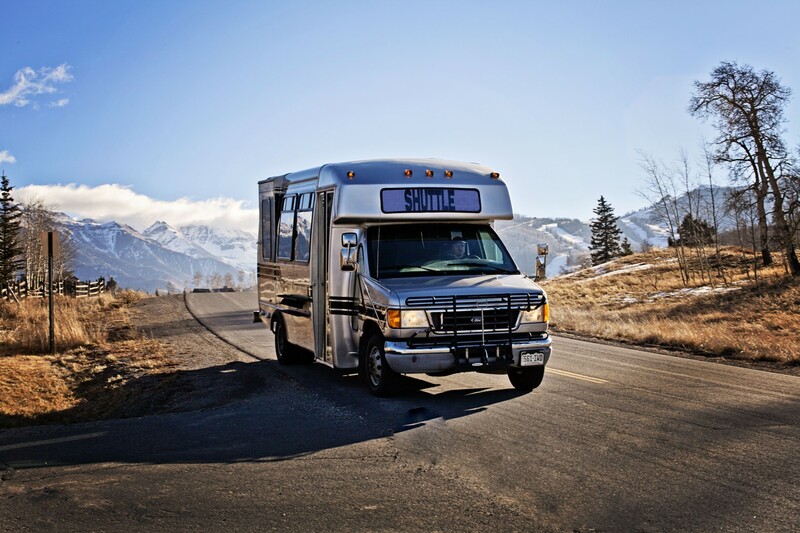 The Town of Mountain Village, Town of Telluride and San Miguel County today released the results of a live-interviewer transportation survey finding that most surveyed are in favor of forming and funding a regional transportation authority. On behalf of the government entities, the county-wide survey by Keating Research was conducted by telephone from April 25 to May 1 among a cross section of 200 registered voters in the R-1 School District who are likely to vote in the November election. San Miguel County voters are optimistic: 73 percent say San Miguel County is heading in the right direction compared to only 13 percent that say wrong direction. 80 percent of voters say they support the formation of the San Miguel Regional Transportation Authority, also known as SMART transit, with 11 percent opposed. In addition, SMART transit received a strong majority support across all key voter groups in San Miguel County: women and men, younger voters and older voters, registered Democrats, Independents and Republicans. Deemed the most important part of SMART transit is new bus or shuttle service to workforce or affordable housing, while parking infrastructure, trail maintenance and linkage, and expanded regional transportation are also important. Voters show similarly strong support for funding SMART transit with 73 percent supporting a one-quarter of one percent increase in the San Miguel County sales tax rate, which is a sales tax increase of $0.25 on a $100 purchase; 72 percent support a one mill increase in the San Miguel County property tax rate, which is a property tax increase of $8 per $100,000 in assessed value for a residential home. Investing in the gondola is vital, with 81 percent supporting the idea of saving a portion of the SMART transit fund to pay for capital improvements and operations and maintenance of the gondola after 2027, while 15 percent oppose this idea. In addition, 85 percent agree that all three government entities should reach a decision soon on how to pay for the gondola so the gondola will continue to operate after 2027, while 12 percent oppose this idea. Lockstep with the November election, Mountain Village, Telluride and San Miguel County officials are close to signing an intergovernmental agreement that would move them one step closer to taking SMART transit to the voters. According to all parties involved, they expect an agreement will be reached by the end of May. Once this occurs, each entity will need to hold two mandatory public meetings in order to formally adopt this agreement. Objectives for forming the SMART transit vary and include enhanced local transportation services, the creation of regional transportation systems, and improved state and federal grant opportunities, to name a few. The survey’s margin for error is +/- 6.9 percentage points for 200 adults at the 95 percent confidence level. For more information about the survey results and the formation of SMART transit, visit townofmountainvillage.com/governing/regional-transportation. The Town of Mountain Village, Town of Telluride and San Miguel County have hired Keating Research to conduct a phone poll beginning April 25. The phone poll is focused on questions related to transportation and the possibility of forming and funding the San Miguel Regional Transportation Authority (SMART transit). The results of this phone poll will provide direction from the electorate as government officials determine the best course of action for forming a SMART transit. “The results of the poll will do three things. First, they will help inform the governmental entities as to the level of support for SMART transit. Second, we will better understand the electorate’s preferences for funding and enhanced services. And third, the results will help us formulate ballot language for a potential ballot question at the November election,” explained Mountain Village Town Manager Kim Montgomery. Keating Research will conduct the phone poll from April 25 to April 29 between the hours of 4 p.m. and 9 p.m. and from April 30 to May 1 between the hours of 12 p.m. and 9 p.m. Voters registered in the R-1 School District may receive a call either on their land line or cell phone. Lockstep with the November election, Mountain Village, Telluride and San Miguel County officials are in the midst of reviewing a draft intergovernmental agreement that would move them one step closer to taking SMART transit to the voters. According to all parties involved, they expect an agreement will be reached by May. Local governmental entities will meet again on this matter April 28 beginning at 9:30 a.m. in Mountain Village Town Hall. For more information about the phone poll and the formation of SMART transit, visit townofmountainvillage.com/governing/regional-transportation. Incumbent Dan Jansen, Laila Benitez, Dan Caton and Bruce MacIntire were elected to Mountain Village Town Council Tuesday. They will join current councilmembers Cath Jett, Marty McKinley and Michelle Sherry who were not up for re-election. The newly elected councilmembers will serve four-year terms. 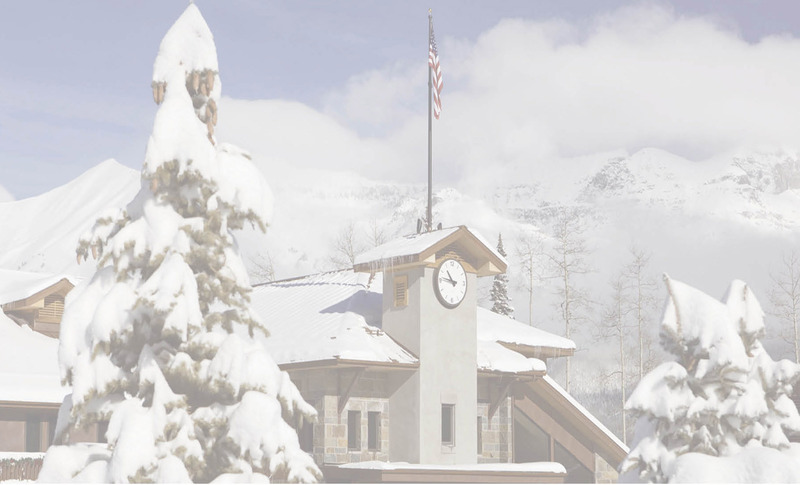 The Mountain Village electorate also voted in favor of limiting the number of units that could ultimately be built on Lot 640A, formerly known as Telluride Apartments. Ballot Question One, a citizen-initiated ordinance that limits the number of units to 45, received 219 yes votes while Ballot Question Two, which would have limited the number of units to 60, failed. Of the 821 mailed ballots, 422 were cast either by mail or in person. At the July 16 Mountain Village Town Council Meeting, the newly elected councilmembers will be sworn in. Subsequently, members of Town Council will appoint the positions of mayor and mayor pro-tem. Listed in the same order as they appeared on the ballot, following is the number of votes each candidate received, and the number of votes for each ballot question. 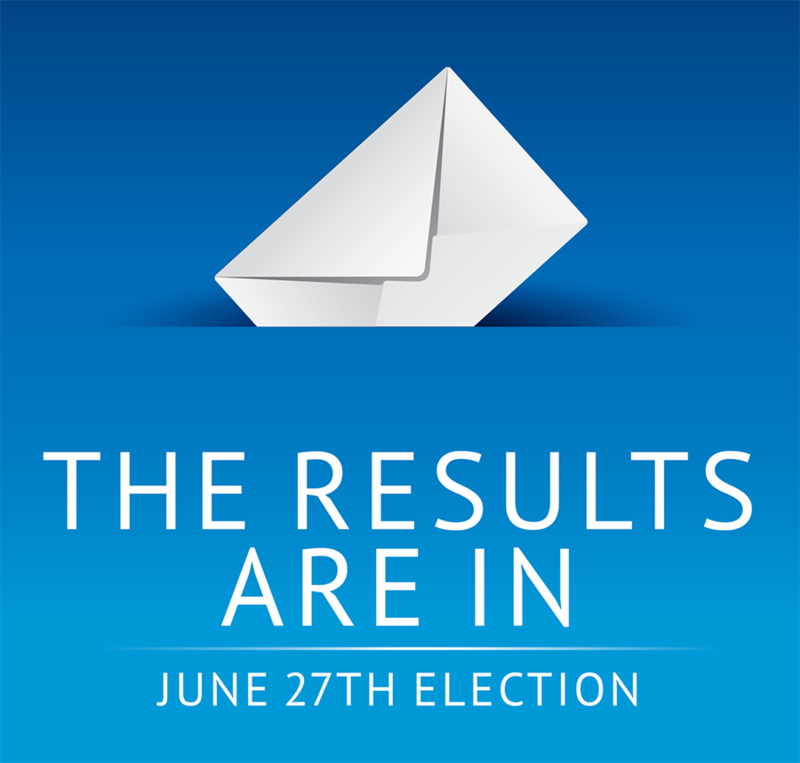 For more information about the election results, contact Town Clerk Jackie Kennefick at [email protected].